Today was one of those days. It started with me dithering about whether I should do some work of wether I should just chill indoors instead. I told myself doing something is better for the project than doing nothing so off I went up to the workshop. My plan is to repeat everything I did on the left wing structure on the right wing. Four and a half hours later and the right wing structure is now at the same stage as the left wing; countersunk, dimpled and primed. No pictures of this as it really is identical to the left wing. 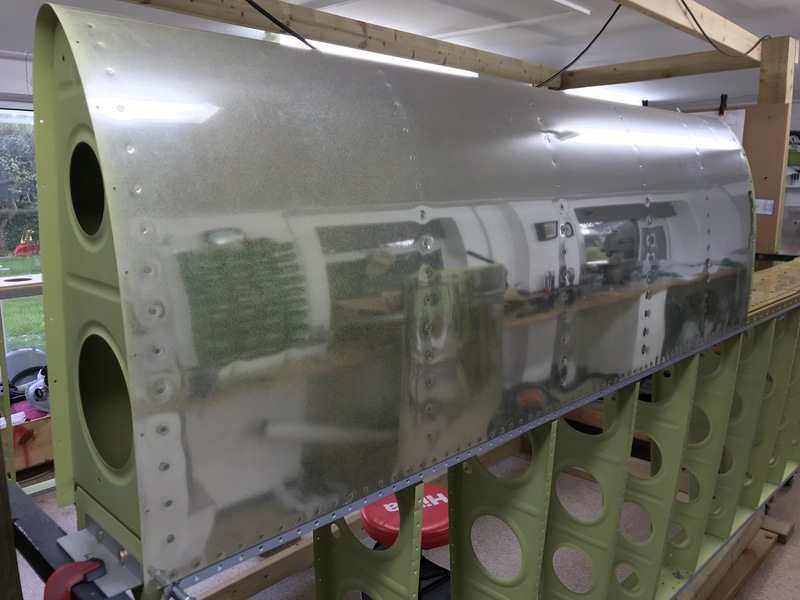 Once that was done I decided to rivet the left leading edge skin to the left wing main spar. 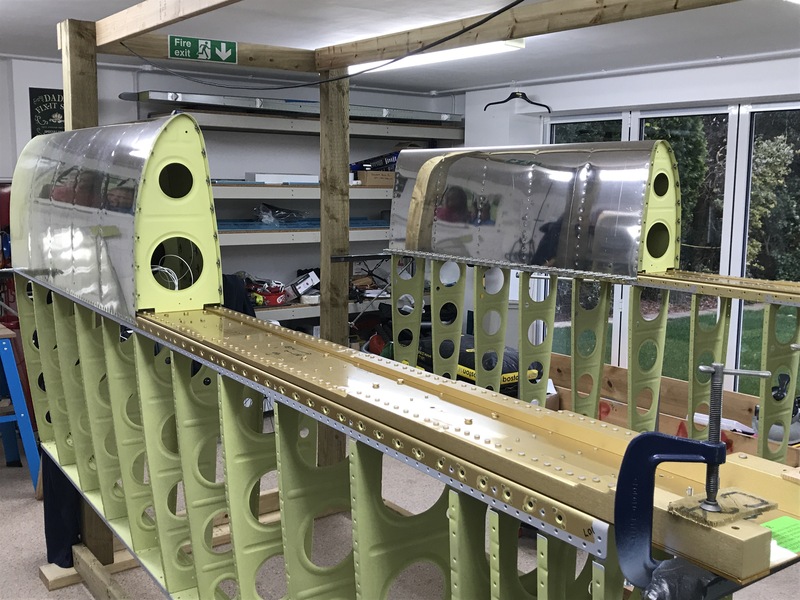 Wow, that’s the first major assembly permanently fitted to the wing. It looks fantastic without any cleco clamps holding it together. It still needs the internal ribs riveting to the spar as well but I need a hand doing this as some of the rivets are really difficult to reach. While quality checking my handy work I spotted a minor error in my previous work. 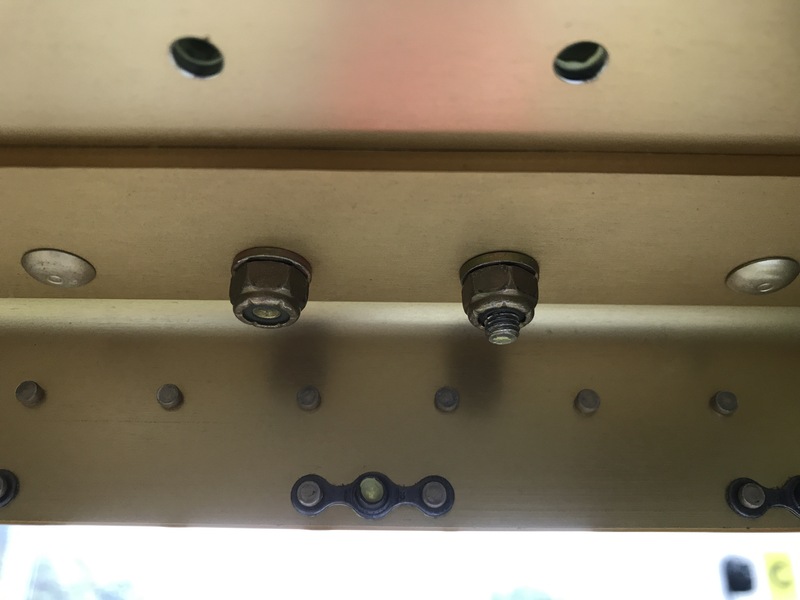 Somehow, one of the bolts holding the tie down bracket on is too short! I’ll need to replace it before closing the wing. I’m so glad I spotted this before the wing got closed up permanently! Lastly I decided to JC5A the right leading edge and cleco that to the right tank. I like to leave parts like this for a few days to let them settle before I rivet them, I think they do move a bit with expansion and contraction as the temperature changes overnight. That’s it! 6 hours of mundane repetitive work. Not the most fun day in the workshop but at least it’s better than doing nothing!